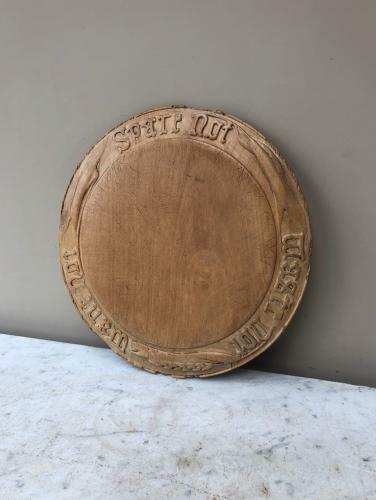 Larger than average hard to find Victorian Treen Bread Board with Three Carved Verses....Each individually carved on boards but not often seen altogether. SPARE NOT, WASTE NOT & WANT NOT. Good and flat, minimal scratching with nibbles round the edge.